How many of use all the features of Nero? That is, do you use the multimedia and backup feature of Nero? If your answer is a big “NO” you can use any of the below freeware as an alternative to Nero. 1. 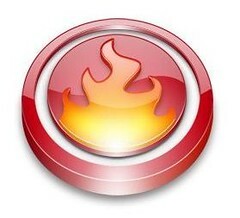 Infra Recorder: Probably one of the most used free burning software after CD Burner XP. You can create data, audio CDs easily just like Nero. Infra Recorder also supports dual-layer DVDs. Users can erase discs, burn images, copy discs, burn multi-session discs, save audio and data tracks to files using Infra Recorder. Moreover, the installer size is just 3.2MB!! Do any of the free packages allow you to create cd covers like nero does. i like to make cd’s for the car but i also like a decent cover with track/artist time printed. I used to use CDBurnerXP, until it required NET Framework Alot of people still won’t install Framework…probably the same people who are unlikely to upgrade to 7 or 8. Is it still a requirement? Didn’t see it in the description. I have to fess up here, that I have an image with Framework on it for when I use one of my favorite progs…nLite, which isn’t all that often. When I HAVE to run nLite, I don’t care what I have to install to make it work. By the way, first visit to your site…I really like it. Although these are all perfect candidates for what they do they are not a perfect alternative. Nero yes as bloated as it is it has many more features the others do not yes they can burn and copy data music and movies but not on has the ability to create them. On Nero I can make music CD’s in a mix or ad video clips or pics or I can create movies either in BLU ray or DVD with my own menus and background music and now even password protect my Data discs. Now please if there is a real alternative to that then post it not something that the free versions of Nero can do thank you. I upgraded to windows Vista 64bit. My copy of Nero 6 (that i was quite happy with) is no longer compatible. I really don’t want to pay for Nero 9.. theres no new features that i need. I’m gonna try infra recorder. Anyone know a way i can open my saved .nrg images without Nero? You might consider BurnAware Free too. I’ve been using it for half year now and is enough to complete the tasks I want. Yes, there is no point in using Nero or any other paid burning software. I’ve been using Nero for years but I’ve switched to CDBurnerXP because I’m constantly having to re-install client PC’s and they often don’t want to pay for Nero. how come you prefer cdburnerxp over infra recorder?